50 randomly selected boxsets will include an art card signed by both Vince and Alison. Over 35 years since their formation, Yazoo - Vince Clarke and Alison Moyet are still acclaimed as one of the UK’s greatest pop duos. During their short time together, they made two classic albums ‘Upstairs At Eric’s’ and ‘You And Me Both’, released iconic hit singles ‘Only You’, ‘Don’t Go’ and ‘Nobody’s Diary’ and toured before disbanding in 1983. Their legacy was a sentiment and a sonic style which sent shock waves through the early-80s charts and continues to be heard in the latest pop hits and throughout contemporary electronica. Four Pieces also features four exclusive art prints, Upstairs At Eric’s and You And Me Both double-sided poster and a collection of six pocket-sized photos. 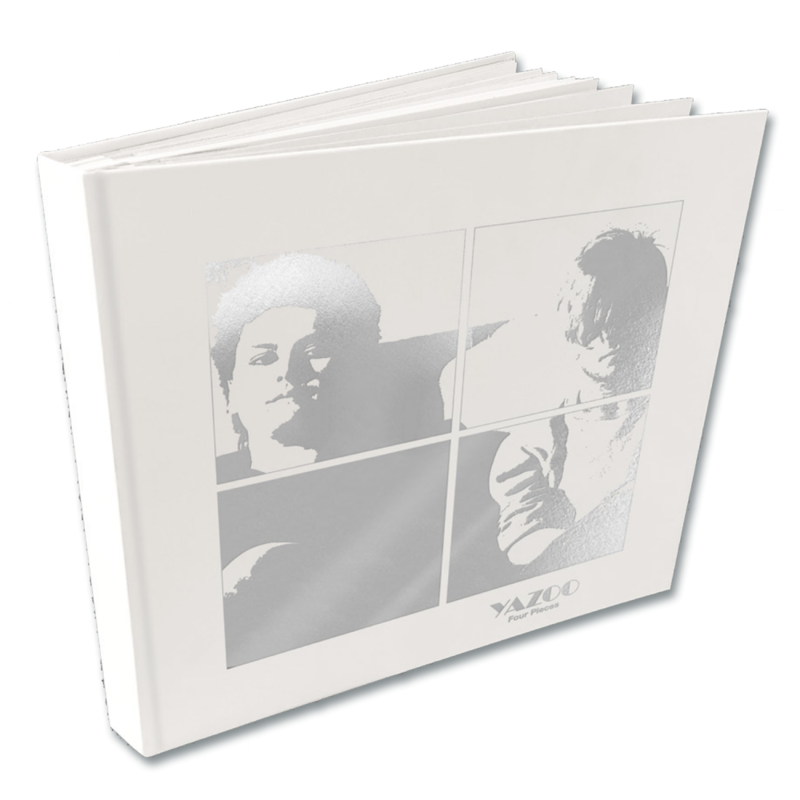 Deluxe vinyl box set in hard back book format exclusively remastered and pressed on heavy black 180g vinyl. The No 1 UK Album featuring Nobody’s Diary, Ode To Boy, Mr Blue and Walk Away From Love. Classic, extended and rare remixes by Richard X, Todd Terry and Youth, plus the 2017 Orchestral mix of ‘Only You’ and a brand new remix of ‘Winter Kills’ by Minute Taker.